Ila Sylvonne Martin (Norstrud) was born April 30, 1916 in Forest City, Iowa. She passed away peacefully in her sleep, in the early morning hours of July 22, 2018 in Mesa, Arizona at the age of 102. Ila’s parents were Olei “Ole” C. Norstrud and Annie Estelle “Stella” Norstrud (Larsen). She was the oldest of four children. Her siblings were Iven, Clarence, and Ruth Norstrud. Ila married Harold Whitmore in Iowa and they had one son, Gary Roger Whitmore, now deceased. She later married Oakla “Oak” Homer Martin who had five children, Henrietta, Alvina, Lester, Florence, and Robert, from a former marriage. Ila and Oakla had two sons together, David Bruce Martin and Leslie Harvey Martin. Leslie Harvey Martin is now deceased. 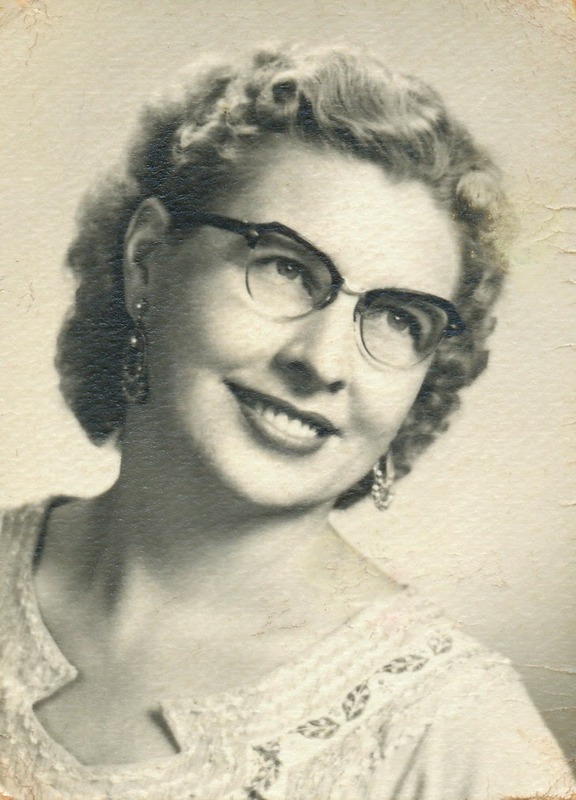 Ila Martin was a farm wife in Iowa and Missouri. Ila, Oak, and David moved to Mesa, Arizona in 1954 and Ila’s first job in Arizona was packing citrus at the San Tan Citrus shed near Queen Creek, Arizona. She later worked for Jaques Cattell press, a subsidiary of Xerox, and was, among other titles, an editor for the Who’s Who series. She was listed as the Assistant Editor in the 13th edition of American Men and Women of Science and she retired from Xerox in 1977. After her husband Oak passed away in 1975, she continued to spend her summers near Overgaard, Arizona and her winters in Mesa, Arizona. Ila was predeceased by her husband, Oak Martin and all of her children, except their son, David Martin. She is survived by David Martin of Mesa, Arizona; many grandchildren, many great-grandchildren and great-great-grandchildren who reside in Iowa, Missouri, Arizona, Nevada, and Utah. Services will be held at Bunker’s Garden Chapel in downtown Mesa, 33 N Centennial Way, Mesa, AZ 85201, on Saturday, July 28, 2018 at 11:00am. Graveside services will be held at the City of Mesa Cemetery, 1212 N Center St, Mesa, AZ 85201, following the funeral service at 12:30pm. Mr. Dave, I’m sorry for your loss. I know you and Kaye have always taken good care of your mom. I know you will miss her, but I also know we will see her again one day. Hugs to you from Tucson.